McWhirter Robert (Bertie) 1st February 2019 (peacefully) at hospital, late of 121 Bellaghy Rd Glarryford. Beloved husband of Marion, loving father of James, Louise and Kathryn, dear father in law of Linsey, Paul and David and a devoted grandfather of Lewis and Olivia. Funeral service in Killymurris Presbyterian Church on Monday 4th February at 12.30pm interment afterwards at adjoining burying ground. 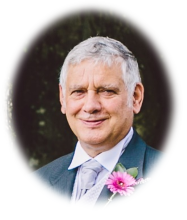 Family flowers only please, donations in lieu if desired may be sent to James Henry Funeral Services, 100 Broughshane Street, Ballymena BT43 6EE for The Chest, Heart and Stroke Association. Lovingly remembered by his sorrowing wife, family and family circle.